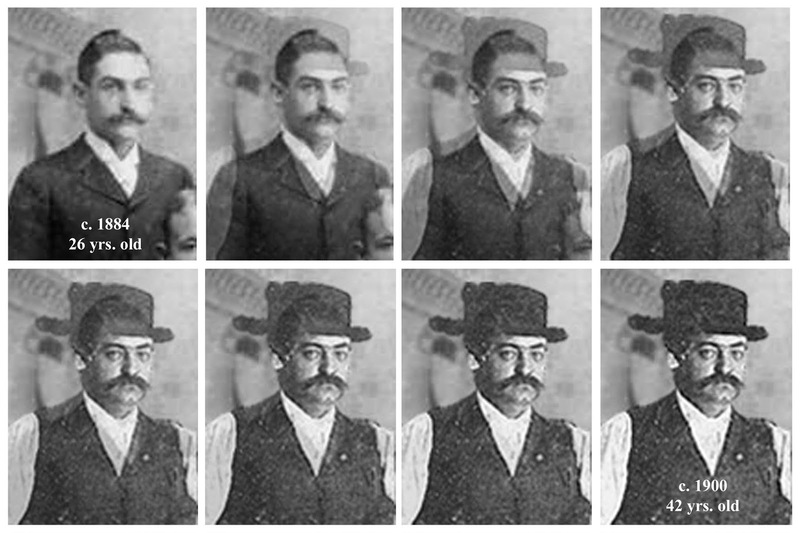 In the last post I explained how I had been able to confirm a photo as that of my 3x-great-grandfather Martin Horst (1830-1878), by using Photoshop and a photo of his portrait created before his death. The discovery was made after trying to figure out who the "4 Horst Men" were in an old Horst family photograph. 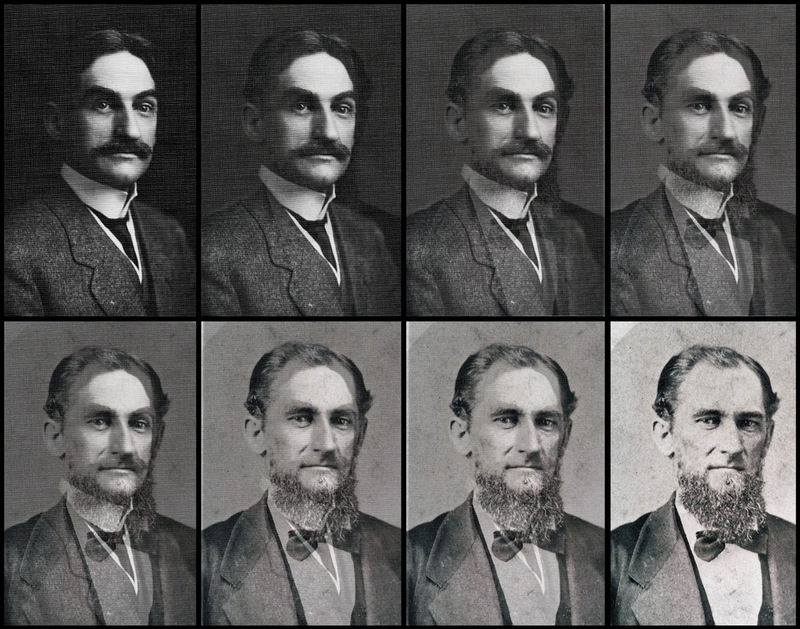 After I had confirmed who was the Horst father, it was time to try the same Photoshop procedure to confirm the brothers' true identities. He re's the original photograph (left) taken in Mobile, Alabama, where the Horst family resided. The picture is of the four Horst brothers: Charles (1856-1912), my 2x-great-grandfather; Edward (1858-1901); Henry (1861-1922); and Martin (1868-1928). I don't know if there's a date on the photograph (it's in the possession of a descendant of Henry Horst) but I'm thinking it might have been taken somewhere around 1884. Here's why: Henry had enlisted in the Naval Academy in 1879. If the photograph was taken before then Martin, the youngest brother, would have just been 11-years-old when it was taken and he's obviously older than that in the photo. Martin was out of the Academy by 1884 but sometime between 1883-1884 Charles and his young family had moved to Cincinnati, Ohio. [We know this because my great-grandmother Pearl Horst Flemming was born there in November 1884.] In 1884 Martin, the youngest brother, would be 16 years old, an age which seems much more likely of this young man. Maybe they had the photo taken before Charles left Mobile for Cincinnati, possibly as a gift for their mother. 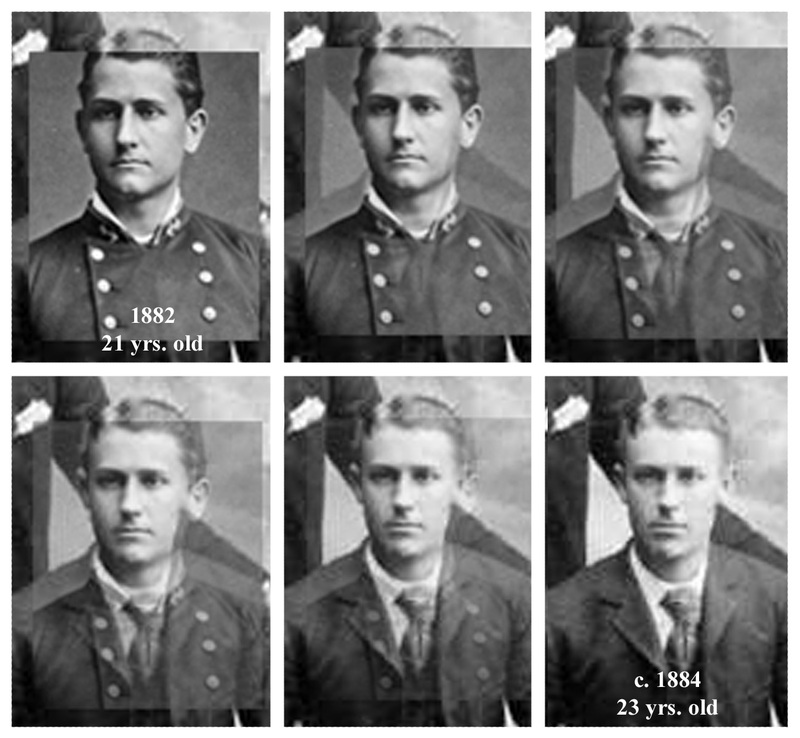 In the "4 Horst Men" photograph I have determined the brothers are as follows: front row, left to right: Charles, age 28; Henry, age 23; back row, left to right, Edward, age 26; Martin, age 16. I used a photograph taken of Charles at his saloon/bar in Birmingham probably around 1910. It is the only one I have where he is facing the same way as the young man in the early photograph. The two men are not holding themselves in exactly the same way, but it's close enough. There is an approximately 26-year age difference between the two photographs. Here are the results of my experiment, showing that Charles is the brother seated on the left. I used the Naval Academy photograph I have of Henry, taken in 1882, to compare with the brothers' photo. The two are posed similarly in both pictures. 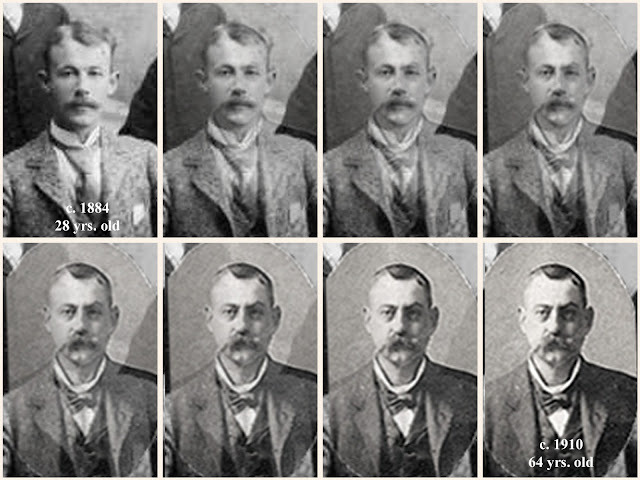 Here is the result of my experiment with the two photos proving why I found Henry to be the young man seated on the right. To investigate the young man standing on the left, I found the one photograph that I have that was labeled as Edward Horst, standing at his bar, the Palace Royale, in Birmingham, taken at the turn of the century. Edward died in 1901 at age 42, so it was obviously taken prior to 1901. In the photo at the bar, Edward is standing very similarly to how the brother in question is standing, twenty years earlier. Here are the two pictures' comparison. I have no other pictures of youngest brother Martin. He would have been about 15-16 years old when the original photograph was taken. He died in 1928, leaving a wife and no children. [And apparently no photographs.] Another family mystery has now been solved using history, photography and the miracle of Photoshop. Several years ago, a member of the Horst family in Mobile, Alabama, shared of picture of what was described as "4 Horst Brothers". He asked me if I could identify them. Since then I have come back to the picture many times, with no clear answer. Here is that picture (right). 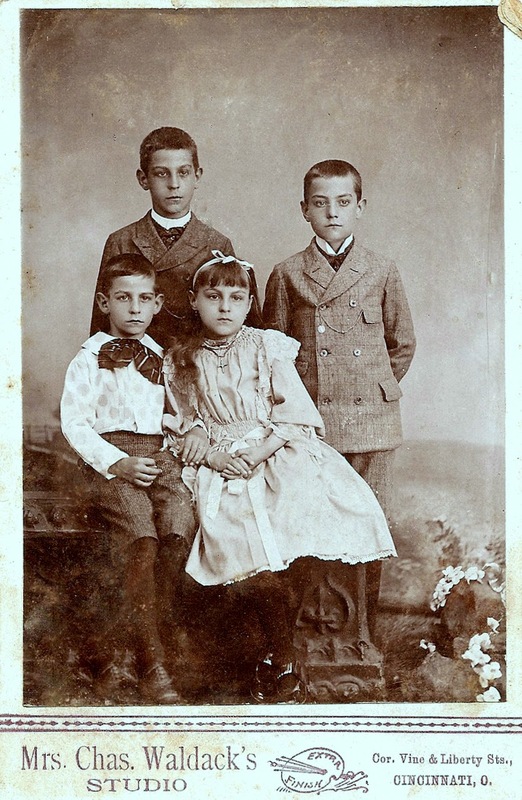 These were the sons of Martin Horst (1830-1878) and Apollonia Weinschenk Horst (1829-1908), my 3x-great-grandparents. Martin and Apollonia had eight children together, six living to adulthood. [Apollonia had four children with her first husband Tobias Berg (1819-1953); only two daughters survived infancy.] 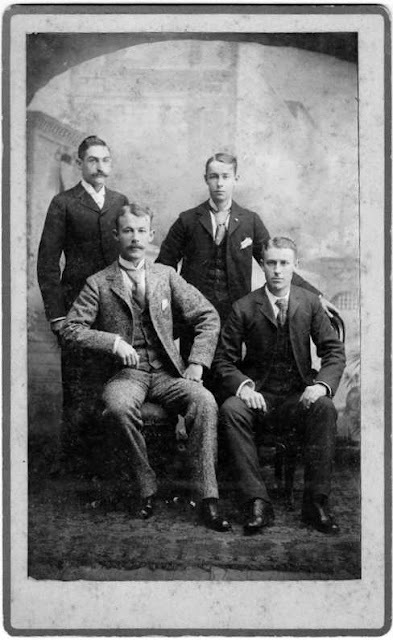 Their sons were Charles (1856-1912), my 2x-great-grandfather; Edward (1858-1901); Henry (1861-1922); and Martin (1868-1928). Two sons - William (1863-1864) and Fredrick (1867-1867) - both died before their second birthday. It was a descendant of Henry who shared this picture with me. So this really shouldn't be too hard - there were four young men in the photo and there are four brothers. I had some pictures of a few of them as much older men, so maybe it would be easy. But there was another photograph that added to the confusion. This photograph at left [Courtesy of The University of South Alabama Archives (Eric Overby Collection)] is labeled "Martin Horst, Mayor of Mobile". But to me, it looked almost exactly like the picture of the young man in the back on the left in the "4 Brothers" photograph, just older. So I reasoned, maybe this photo from the Archives wasn't Martin Horst the father, maybe it was mislabeled and was actually Martin Horst the son. And that's the way I tentatively left it for several years - neither proclaiming it as fact nor being able to prove anything else. Then recently I tried once again to confirm the identities of the "4 Brothers". There was just no way to make the brother on the back left, whom I thought was Martin (the son), seven years younger than the brother on the back right. So I tried something else, and it solved one mystery. I reconsidered that the above photograph from the Archives was actually labeled correctly. My problem was that it didn't look anything like the only confirmed picture I had of Martin Horst, a black-and-white photo of his portrait that my father had gotten years ago. You can see, they don't resemble each other at all. I remembered my father telling me that Martin had aged dramatically after coming down with Bright's Disease, a kidney condition that ultimately caused his death at age 48. [NOTE: Check out an earlier post "Sunday's Obituary - Martin Horst" for more information about the disease and his death.] Could these two be the same person, this official "Mayor of Mobile" photograph in the University of South Alabama Archives from 1871-1872, and this family portrait completed within 6 short years? It would be hard to believe, if true. I had one other photo (left) that I knew was Martin Horst, I just didn't know which Martin Horst it was. So I used a technique that I have seen on all those crime analysis shows I've watched throughout the years. I decided to try to compare the facial features of the known portrait (above) with one of the photographs of "Martin Horst". I used Photoshop to do the overlays, lining up the bodies so that they're the same size. Amazingly he held himself almost the same way in both pictures. And here's what I got. They're a perfect match! Click on the photo to see an enlargement. You can see that the ears are exactly the same, as is the nose and the shape of the head. His eyes are the exact same shape and width apart, and even the small circles under his eyes are the same. When the transition from mustache to beard takes place you can see his bottom lip is also exactly the same. It was really quite amazing to discover. So if this second photograph was actually Martin Horst, the father, then the photograph in the University Archives is labeled correctly, too. It also means that one of Martin's sons looks strikingly similar to him. But which one is it? To find out the answer to that mystery be sure to check out Horst Family Mystery Solved, Part II, coming soon. Translation from Latin: "1809 - Day 14 February - F.C. (priest) joined in marriage Richard Donnell (sic) and Margaret Whelan (sic) of the Parish of Lisronagh. Present (unk) Weldon & Catherine Dunphy"
I also found the Baptismal Records which include the baptisms of my great-great-grandfather Patrick O'Donnell (1823-1911) and his six brothers, as well as for three sisters who were previously unknown. This of course confirms what I had earlier discovered that our O'Donnells came from Lisronagh. It also confirms that Margaret's family name is Phelan - spelled Whelan above. Lisronagh Church is part of the Powerstown Lisronagh Parish, in the diocese of Waterford and Lismore. It is dedicated to St. John the Baptist. 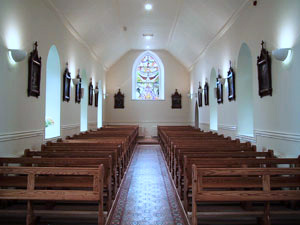 The church is located at the R689 regional road, 7 km north of Clonmel, and 6 km south of Fethard in South Tipperary. 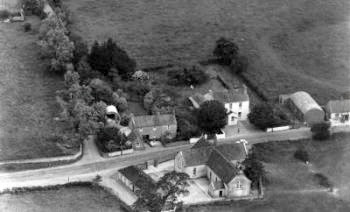 Below is the history of the Lisronagh Roman Catholic Church, taken directly from the parish website: www.powerstownlisronaghparish.com . "The origins of Lisronagh Church are not recorded anywhere and as such the early history is surrounded with doubt. This period in history was a time of Catholic oppression in Ireland, with the Penal Laws in place. For this reason the original church was built secretly as part of the local underground religion. 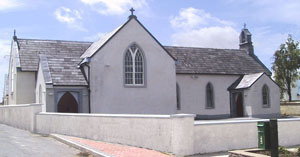 The original church in Lisronagh was built sometime in the late 18th century. It was built by local craftsmen and took the form of the simple "Barn" style church. This building faced north-south and the church, like others in the same style, was "T" -shaped, with two doors (one at either end), and contained two galleries. The earliest records available make reference to a Father McGrath. According to these sources, he was the Parish Priest in the original church before his death in 1798. We can also put a lower boundary on the date of the church. The Rev. J. Welsh received two chalices in the early 1780`s - one for Powerstown and one for Quarryhole - Lisronagh`s predecessor. Despite the lack of any Parish records until 1808, it is safe to assume that between this date and Fr. McGrath`s death, the Parish and Church of Lisronagh were well and truly established. The next stage in the church`s history took place under the pastorate of Rev. John Power (1852-66). Under his guidance, the church was enlarged to give its approximate present shape. As well as this, the roof was raised and replaced. The mid-19th century also saw the addition of a new porch to give better access and also the belfry was added around this time. However, exact dates are not known. After the changes in the 19th century, no more major changes occurred. Nevertheless, one generous patron deserves to be mentioned. In the 1930`s, Miss Marie Kennedy funded the two side altars, which remain part of the church to the present day. As a matter of interest, the Kennedy family played another role in Lisronagh`s history. The chalice being used in today`s celebration was donated in 1893 by Bridget Kennedy - a prior generation of the same family. 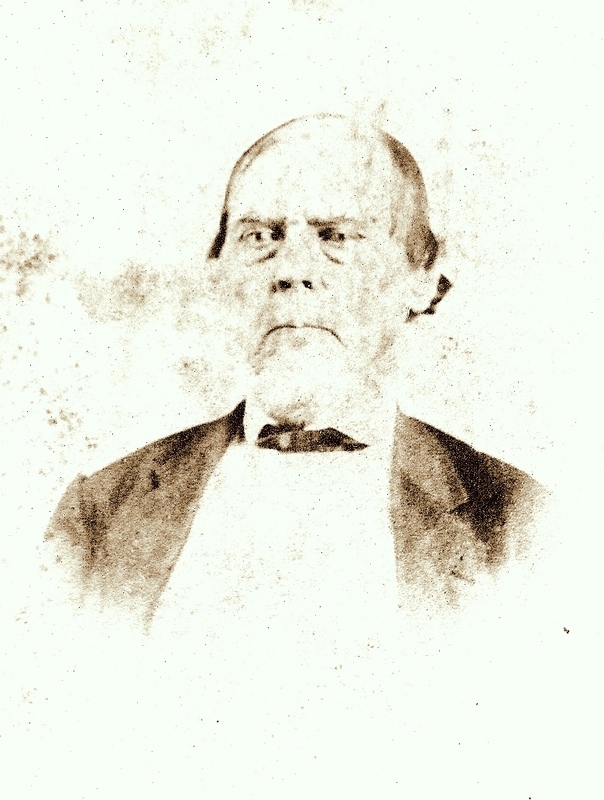 Today, October 18, 2015, is the 215th Anniversary of the birth of my Great-Great-Great-Great-Grandfather William Jackson (1800-1879). He was the married to Elizabeth (1802-1870), was the father of six children including Sarah Linza (1837-1902), my 3x-Great Grandmother. William had been a Tailor throughout his life. I've previously written a post about William Jackson - read it HERE. So I wanted to honor his birth 215 years ago by painting a little picture of what life was like in the year 1800 when he was born in South Carolina. In 1800 the United States of America was just 24 year old. There were 5,308,483 people living in the U.S. - we know this because the year he was born the 2nd United States Census took place. In South Carolina there were 345,591 people residing here, of which 146,151 were slaves. In America ninety percent of people lived on farms in 1800. There were just 16 states in the Union in 1800. The U.S. flag was made up of 15 stars and 15 stripes. [see picture] The same year the Library of Congress was founded. It was in 1800 that Spain returns Louisiana to France. Travel between towns in America was difficult making it almost impossible for farmers to sell their produce - travel between states barely existed except by stagecoach or horseback over hazardous dirt roads. There were no railroads yet. The steamboat had just developed so even travel by river was in its infancy. There was so much more left to be done to make travel accessible - roads had to be cut, bridges had to be built, and lodging for travelers was necessary for most travelers. At this time most people lived their whole lives where they were born - following in their father's and grandfather's footsteps, using tools and skills that had changed very little in hundreds of years. Farmers grew produce for their families and their communities only. The cloth that was worn by the farmer's family was homespun, and the clothes were cut and sewn at home. Nearly everything worn was homemade. Education was either done at home or in a local "one-room-schoolhouse" taught by a teacher with no formal education to teach. Babies were born at home, delivered by midwives or family members. There was no pain medicine, antibiotics or baby formula. It was a different world entirely. But it was the world that William Jackson was born into, where he raised his family and lived his full life. Happy 215th Birthday! 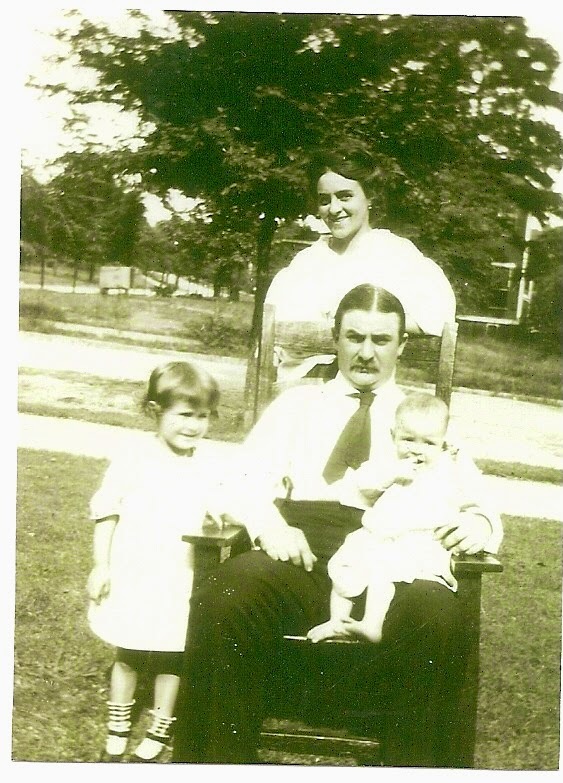 WONDERFUL WEDNESDAY'S PHOTOS - Happy 130th Birthday, Grandmother Pearl Horst Flemming! Today is a special day - 130 years ago today, on November 19, 1884, my great-grandmother Pearl Alphonsine Horst Flemming was born. She was the middle of five children, and the oldest daughter, born to Charles Frederick Horst (1856-1912) and Felicite Odalie Fortier (1857-1920). Her father was born in Mobile, Alabama, and her mother in New Orleans, Louisiana, but about 1883 they moved, along with their two sons Charles Frederick Horst, Jr. (1880-1864) and Edward Martin Horst (1882-1812) to Cincinnati, Ohio, because of Charles, Sr.'s health. It was here that Pearl was born, most likely in the home of Charles' paternal aunt, Elizabeth Horst Ginter (1827-1877) at 30 Rittenhouse. Her father worked in a saloon, as he had in Mobile. It was also in Cincinnati that her younger brother Omer Leo Horst (1887-1945) was born. The family lived in Cincinnati until the early 1890's when they moved and settled permanently in Birmingham, Alabama. Charles went into business with his brother Edward P. Horst (1858-1901) who was owner and saloon keeper of the Palace Royal Saloon, serving as the "Mixologist" at the bar. It was in Birmingham that Pearl and her brothers went to public school at the Powell School on 6th Avenue North and 24th Street. In 1896 her younger sister Odalie Marie Horst, later Wittges, (1896-1990) was born. 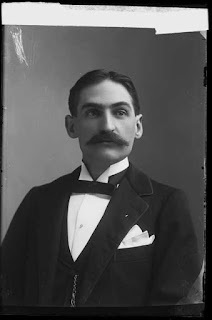 On April 18, 1906, Pearl married Harry Clinton Flemming (1878-1955), who had moved with his family to Birmingham from his birthplace of Rome, Georgia. They were married at St. Paul's Cathedral; Harry was 28 and Pearl was 21. Harry bought their first and only home that year, in Birmingham's new Southside neighborhood at 1402 N. 17th Street. Harry was an Engineer on the Great Alabama Southern Railroad, taking him out of town every other night. Because of this Pearl was too afraid to live in the house for the first year as she felt it was "too far out" from the city, so she continued living with her parents, who lived at 2430 4th Avenue North. 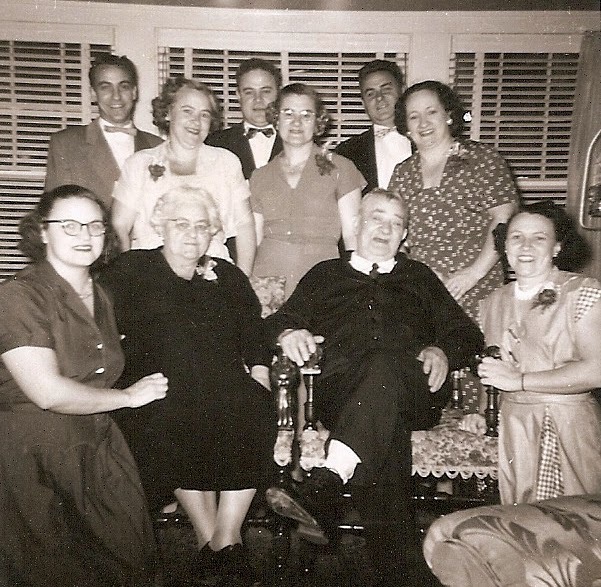 Pearl and Harry had eight children: Pearl Alphonsine, born 1907; Susan Elizabeth, born 1909; Odalie Felice, born 1911; Harry Clinton, Jr., born 1913; Charles Frederick, born 1916; John Edward, born 1918; Margaret Mary, born 1920; and Ann Marie, born 1923. 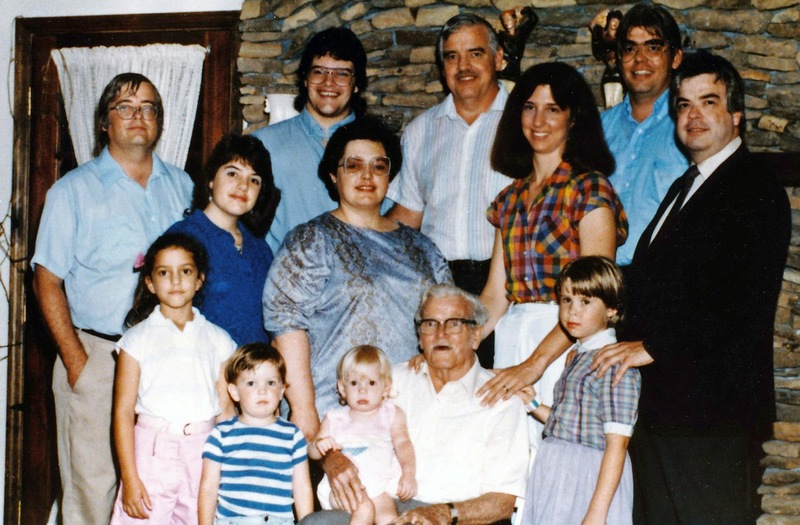 Lots of stories have been told about Pearl through the years - of her dedication to the Catholic Church and the Cathedral where she and her family attended; of her big holiday gatherings of family every year for holiday dinners that she prepared; of her marriage and the love of her husband. There are other stories I have heard, most from my grandmother Susie, who "never let the truth get in the way of a good story." So I won't repeat them. But her life and accomplishments prove that she was quite a remarkable woman. She raised eight children, all to adulthood. She remained married to her husband for 49 years, until his death. She received the proEcclesia et Pontifica medal from Pope Pius XXIII the year before her death for her work within the Catholic Church. She sent two sons off to war during WWII. She was the grandmother of twenty-five. At the time of her death she was also the great-grandmother of thirteen, with many more to come. She died on September 25, 1961, less than one month before I was born. Today marks 130 years since baby Pearl Alphonsine was born in a tenement row in Cincinnati, Ohio, beginning a lifetime of 76 happy, productive years on Earth, serving her husband, her children, the less fortunate in our community and God. So, Happy Birthday, Grandmother Pearl! I love October! I love the cooler weather, the changing leaves, decorating the yard for Halloween and celebrating my birthday. One special thing I really look forward to doing each year is baking Pumpkin Bread - eating it as well as sharing it with friends and family. It wasn't something I grew up with - we were strictly homemade Banana Bread people. But that all changed 21 years ago. 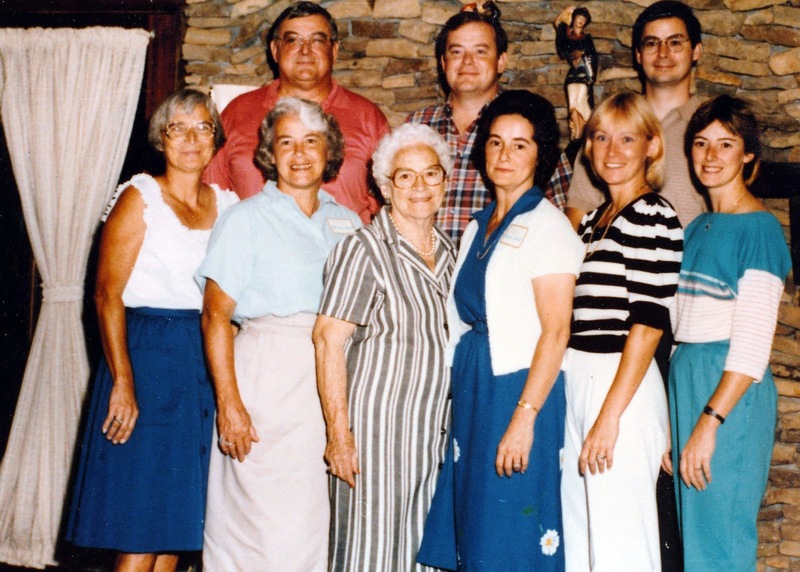 In the summer of 1993 I organized a Flemming Family Reunion in Birmingham, Alabama. [Click here to see more - 1993 Flemming Family Reunion post] It wasn't the first one ever held, but it was my first to plan. And part of the event included each family receiving a very special family cookbook that I had published, comprised only of special recipes from members of our extended Flemming Family. Each adult was asked to send in 5 recipes that were special to their own families, so that for generations forward families could still prepare the dish exactly as their grandmothers, great-grandmothers and great-great-grandmothers had prepared it. There are even recipes in the book sent in by some fathers and grandfathers. 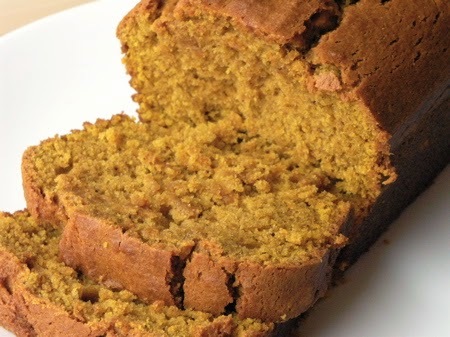 But this recipe for Pumpkin Bread is Jane's recipe, one she made for her own family - including her six children and thirteen grandchildren. I don't know where she got it, or how for how many years she made the bread, but I'm so glad she did. It is THE BEST - full of spices like nutmeg, cinnamon & cloves. It makes the house smell wonderful and the flavor is amazing! It's now part of my family's tradition. For the past ten years or so I began adding chocolate chips to half or all of my recipe before I bake the loaves (the recipe makes two). My middle child made the suggestion after coming home from a school Thanksgiving party proclaiming he had eaten "the best pumpkin muffins." Knowing that he had to be wrong I questioned further and found that he thought the pumpkin part wasn't as good but it had chocolate chips baked inside. So now I often add them to the recipe. I also bake the recipe into muffins and share them, if we haven't already eaten them all. This is only one of the 297 recipes inside the cookbook. It includes recipes from many family members who are now deceased, including my grandmother, her sisters, and many of her cousins. There are recipes from the next generation younger than them, as well as from my own generation. Included are recipes for "9 Day Slaw" from Rita Obering Flemming (1923-1994); "Oyster Pie" from Margaret Flemming Selman (1920-2013); "Pecan Pralines" from OD Flemming Daly (1911-1994); "Shrimp Stuffed Potatoes" from Mike Flemming Millican (1910-2003), and "White Wine Sauce" from Jack Flemming (1918-2008) and his wife Georgia Rice Flemming (1918-2005). I haven't tried one recipe yet that isn't yummy. **FOR SALE** A couple of years ago I had a second printing of the cookbook made, so that other generations - many who were too little to have their own book twenty years ago, some who weren't even born yet - can have their own copies to use and enjoy. I will be putting some of the books up for sale on E-bay for the next couple of weeks for anyone who may want a copy. Just type in "1993 Flemming Family Cookbook". The cost is just $18.95, plus shipping. On E-bay you can charge the book or books. If you want to buy one and would rather deal with me directly you can contact me by email or Facebook. ***FAMILY MEMBERS ONLY*** It will make a great gift for the holidays, or to include in a wedding/shower gift. I only have 26 copies left. If you want one, don't hesitate to order your copy today. I won't be making any new copies anytime soon. P.S. - Enjoy the Pumpkin Bread! When my great-great-grandfather Patrick O'Donnell died in June 1911 he included the Immaculate Conception Catholic Church in LaGrange, Oldham County, Kentucky as a benefactor of his estate - his family's parish. I had previously assumed, incorrectly, that my O'Donnell family had been members of the Church of Saint John Chrysostom in Henry County, and have even written a post here about this church. But recently in reading the small print of Patrick's will I was proven wrong. This brief history of the church comes from History & Families Oldham County, Kentucky: The First Century 1824-1924. "The history of the Immaculate Conception Parish in Oldham County dates back to the mid-1800s. When the construction of the L&N Railroad between Cincinnati and Louisville began, the railroad company maintained its shops in LaGrange. Many of the railroad workers were Irish Catholics. Priest from the Cathedral of the Assumption and St. Joseph's Church in Louisville served the Catholics in Oldham County. 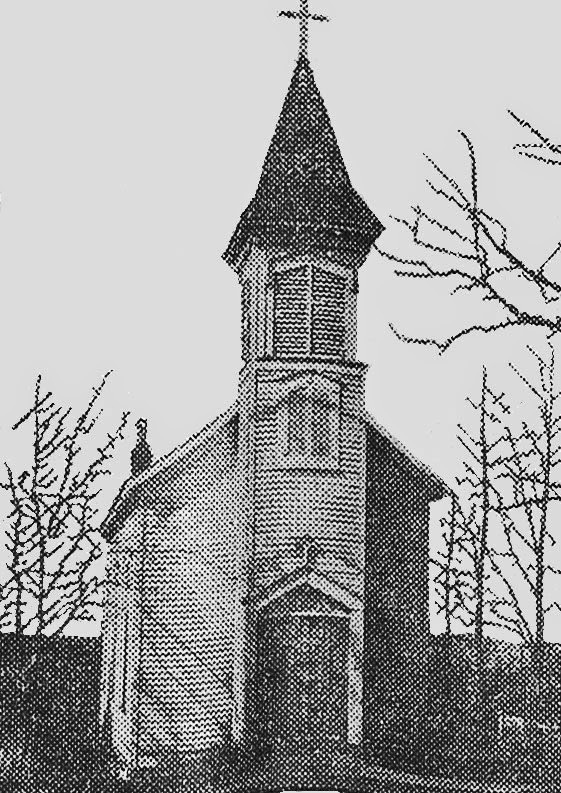 In 1871 a resident pastor was appointed for St. Aloysius Church in Peewee Valley, and LaGrange Catholics formed its Mission Church. The construction and the upkeep of the church was all the result of the labors of the people of the congregation: no memorial gifts or large sums of money were donated. The church recorded its first marriage on April 16, 1877, when Michael Kenney, son of Patrick Kenney and Honora Doyle, married Sara McLaughlin, a widow. The witnesses were John Kenney and Bridget Doyle and Fr. William Hogarty was the officiating priest. As a mission church, the LaGrange church held Mass once a month during the winter while in summer parishioners were expected to attend St. Aloysius in Pewee Valley. A third church was built in LaGrange in 1950 and this church (right) was also torn down. It is no longer a mission church, having received official status as a parish in 1956. Patrick O'Donnell married Bridget Kennedy (1838-1893) in 1856 in Louisville and they soon moved to the town of Jericho in nearby Henry County, because of his job with the L&N Railroad. They settled here and soon had seven children - Maggie (b. 1858), Mollie (b. 1859), Alice (b. 1860), Fannie (b. 1862), Josie (b. 1864), Johnny (b. 1865), and Ella (b. 1869). Their only son, John Martin O'Donnell, is my great-grandfather. "I, Patrick O'Donnell, want to be used of my estate the sum of twenty-five dollars in celebrating Masses in the Catholic Church at Lagrange, Kentucky, for the repose of the soul of my wife Bridget Kennedy O'Donnell and my own." 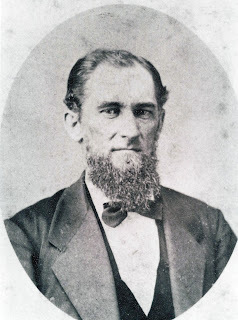 John J. Sheehan was the brother-in-law of Patrick O'Donnell. John was born in Ireland in 1839 and had come to America as a young man. In the 1860 Census John was single and living in the home of Patrick & Bridget in Jericho, Kentucky, as a boarder, along with thirteen other men, all who were "laborers" for the railroad. Also living in their "boarding house" were their first three daughters, ages 3 months to 3 years; Patrick's brother John O'Donnell (1822-UNK), age 37; and Bridget's two sisters - Anne, age 21, and Johanna, age 29. Both Patrick and John O'Donnell listed their occupation as "Supervisor Railroad". Anne and Johanna Kennedy listed their occupations as "Domestic", most likely responsible for keeping the boarding house clean. John married Anne Kennedy (1839-1913) about 1865 and together had nine children, only 3 living to adulthood. They settled in LaGrange, Oldham County, and were members of this same Catholic Church. Recently while scanning family photos from one of my mother's photo albums I came across all the pictures that my younger sister took of the last O'Donnell Family Reunion, held in the summer of 1985 in Birmingham, Alabama. That year Ronald Reagan and Mikhail Gorbachev were world leaders. New Coke was introduced to the world, as was the first Nintendo console in America and DNA in its first criminal case. It was also the year "We Are the World" and Live Aid took place to raise funds for the Famine in Ethiopia, as well as the beginning of the fall of Communism throughout the world. In other words, it was a long, long time ago. ﻿﻿I remember attending the Saturday evening dinner held at my aunt's home and hanging out with my sisters and cousins and new baby niece that night but not much else. O'Donnell families came from around the country including California, Virginia, Florida, Georgia and Mississippi. Unfortunately I honestly don't remember even meeting one new relative at the event. ﻿﻿At the family reunion were descendants of Patrick O'Donnell (1823-1911), who came to America from Ireland, and his wife Bridget Kennedy (1838-1893), also an immigrant from Ireland. They had seven children, 6 daughters and 1 son. Those at the 1985 Reunion were descendants of two of their children - Mary Ann "Mollie" O'Donnell Casey Kenealy (1859-1936) and John Martin O'Donnell (1865-1937). John is my great-grandfather. My grandmother Susie Flemming O'Donnell (1909-1999) was there. 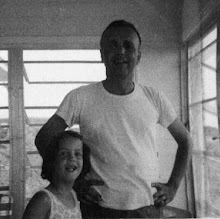 Her husband, my grandfather, John Huber O'Donnell (1905-1964), was the oldest child of John O'Donnell. Huber, as he was called, had 2 younger brothers and a younger sister. Brother Charles Patrick O'Donnell (1906-1987) came from Atlanta with a large number of his family. 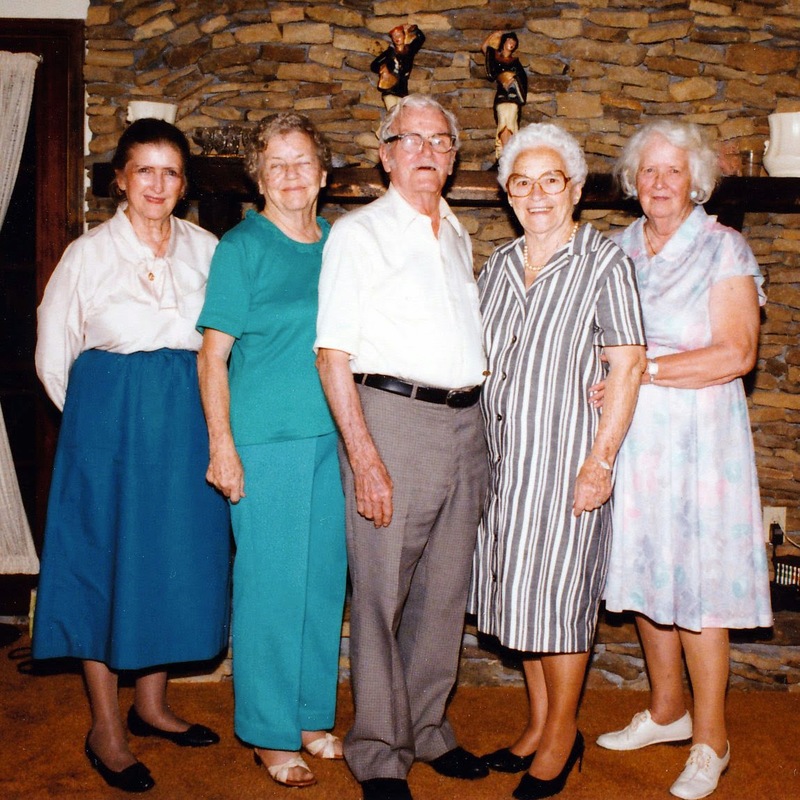 Youngest brother Edward Joseph Kennedy O'Donnell (1908-1989), called Ed, lived with his wife Mary Elizabeth "Mamie" Watters (1908-1996) in Los Angeles, California, and they didn't make the trip, but many of their children, their spouses and grandchildren did come. Also in attendance was youngest sister Barbara Lena O'Donnell Nelson (1909-1996), who travelled from her home in Biloxi, Mississippi, and members of her family. Also in attendance at the reunion were descendants of Patrick & Bridget's second child Mollie. Mollie had married twice. In attendance were the grandchildren of Mollie and her first husband Thomas "Pat" Casey (1841-1896), the children of their oldest daughter Frances Loretta Casey Slade (1879-1960), known as Lottie. Both daughters of Lottie and husband Charles Albert Slade (1867-1917) were in attendance - Mary Slade (1904-1990) and Loretta Slade Crawford (1906-1986). Loretta brought several of her own family members along with her to the reunion. Mary & Loretta both lived in Birmingham. 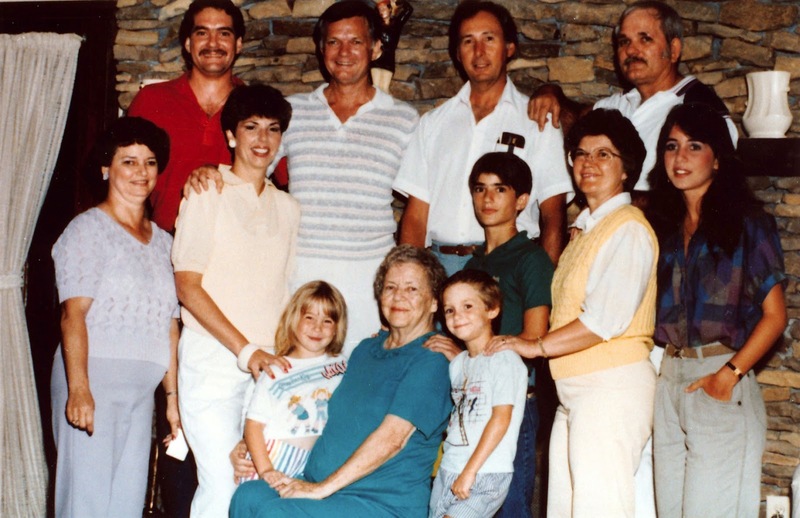 I would love to know exactly who the individuals are in each of these families for posterity's sake. If you can name them from your family I really would love to hear from you - everyone who knows can write me. Better to have too many than not any. Please don't write them on the comments below. But if can help me name them from your family please, please, please contact me on Facebook or email me! (I said please.) And if you're interested in where you can find all the pictures of the reunion let me know. 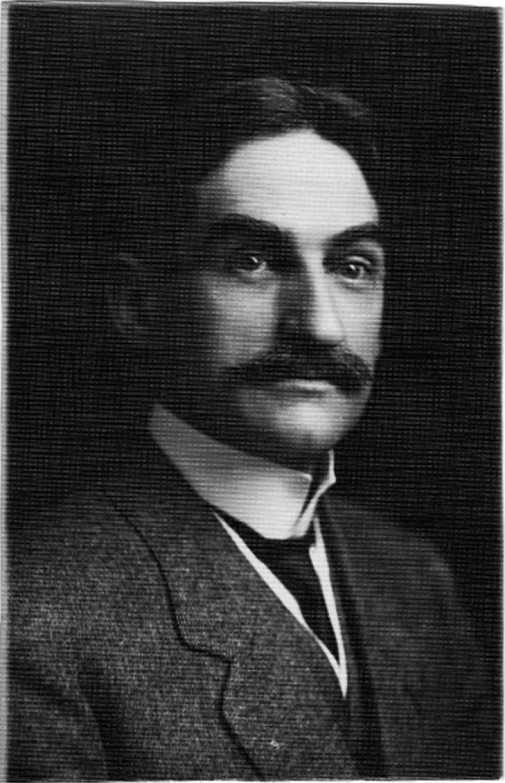 Charles Clinton Flemming, Jr. (1884-1936) married Katherine Aurelia Lambert (1885-1935) on January 26, 1910, in Atlanta, Georgia. Charles, my great-great-uncle, is the son of Charles Clinton Flemming (1854-1932) and Elizabeth Agnes McCaffrey (1858-1922), my great-great-grandparents, the fifth of their eleven children. Charles, Jr., is the younger brother of my great-grandfather Harry Clinton Flemming (1878-1955). This was not Charles' first marriage. He had married to Marie Sophia Fidger (1884-1908) on Thanksgiving Day, November 26, 1903, in Birmingham, Alabama. They were both nineteen at the time of their wedding. The following year they had their only child, Florence Elizabeth Flemming. Unfortunately, their happiness was short lived. Sophia died in childbirth on September 15, 1908. Florence, just 4 years old, moved in with her grandparents - they would eventually take full legal custody of her. Charles worked for his father's business, Charlie's Transfer, in Birmingham, first as a clerk then later as the company's vice-president. His bride Kate, as she was called, was born in Atlanta, Georgia, the daughter of Joseph W. Lambert (1830-1914), an immigrant from Belgium, and Mary Agnes Monaghan (1843-1920). When Kate and Charles were married she was 24, he was 25. On January 2, 1910, the Atlanta Constitution announced the couple's engagement - "LAMBERT-FLEMMING Mr. and Mrs. Joseph Lambert announce the engagement of their daughter Katherine Amelia, to Mr. Charles Clinton Flemming, Jr., of Birmingham, Ala., the wedding to take place January 26, at St. Anthony's Chapel, West End." "The marriage of Miss Katherine Lambert and Mr. Charles Clinton Flemming, Jr., was an event of interest yesterday, assembling a large acquaintance. The ceremony at 4:30 o'clock was performed by Father o. N. Jackson at the Church of St. Anthony, in West End, and was followed by a supper at which were gathered the attendants and relatives as the guests of the bride's parents, Mr. and Mrs. Joseph Lambert, in West End. In the evening from 8 until 10 o'clock, there was a large wedding reception. The church was artistically decorated with foliage plants, narcissus and carnations, and at the home the same the same flowers with plants and ferns were used with effective taste. An orchestra provided the music for the reception, and an elaborate hospitality was enjoyed. The bride made a charming picture in her wedding gown of satin and old lace, and her flowers were bride's roses with a shower of valley lilies. The matron of honor, Mrs. Wm. McAlphin, wore white satin draped with white marquisette embroidered with pink roses, her lace hat was trimmed with white plumes, and she carried American Beauty roses. The maid of honor, Miss Imogen (sic) Flemming, of Birmingham, and the bridesmaids, Misses Agnes Klein, Kate McGee, Monica Callahan, wore white broadcloth with white beaver hats trimmed with plumes, and their flowers were Meteor roses. The groomsmen were Mr. Clem Lambert, best man, Mr. James Jordan, of Birmingham, Mr. Thomas Lambert, Mr. James Flemming, of Birmingham, Mr. James Flynn. Mrs. Joseph Lambert, the bride's mother, was gowned in black satin, and assisting in entertainment, Mrs. Ed. Lambert, wore white chiffon cloth embroidered in pink geraniums, Mrs. J.P. Lambert wore old rose chiffon cloth, and Mrs. Michael Lambert wore white crepe de chine. Mr. and Mrs. Flemming went east on their wedding trip, and they will make their home in Birmingham where he is prominently and pleasantly known." It's interesting to note that Charles' younger sister Elizabeth Imogene "Imo" Flemming (1886-1919) served as Kate's maid of honor, while one of Kate's older brothers, Clement Lee "Clem" Lambert (1880-1971) was Charles' best man. One of Charles' younger brother, James Benjamin Flemming (1889-1932), also served as a groomsman. 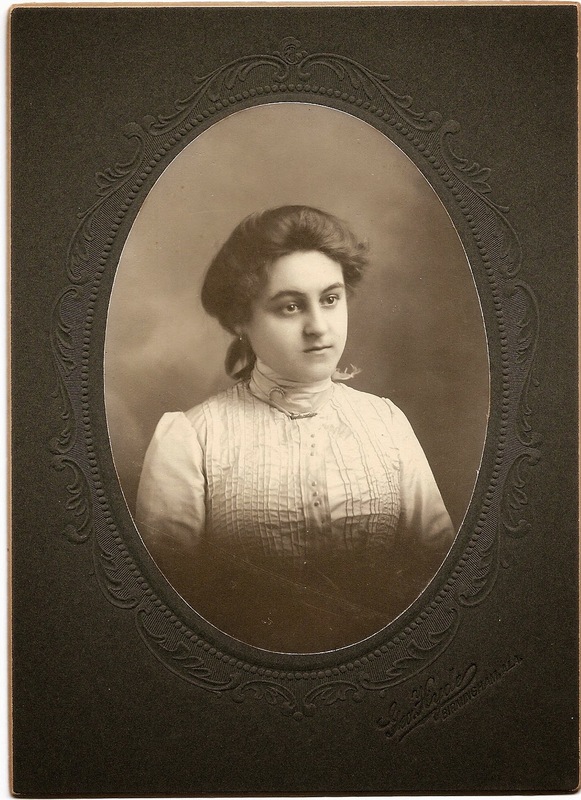 Imo must have been a family favorite - she was also the maid of honor at the wedding of her oldest sister Susie Elizabeth Flemming (1879-1908), in 1906. Charles and Kate set up their home at 1422 Thirteenth Place South on Birmingham's Southside. They went on to have seven children: Mary Agnes "Mike" Flemming, born November 1, 1910; Dorothy May Flemming, born January 1914 [she died July 4, 1915]; Charles Clinton "Hap" Flemming III, born May 15, 1916; James Benjamin Flemming and his twin brother Joseph Lambert Flemming, born May 5, 1918; Thomas Anthony "Tom" Flemming, born May 11, 1923; and Katherine Loretta "Katie" Flemming, born August 9, 1925. Charles died on May 30, 1935, when his appendix burst. Then, just a little over 3 months later, Kate, too, passed away after a long illness. Charles was 51, Kate just 50. They were buried at Forest Hills Cemetery in Woodlawn, outside Birmingham. 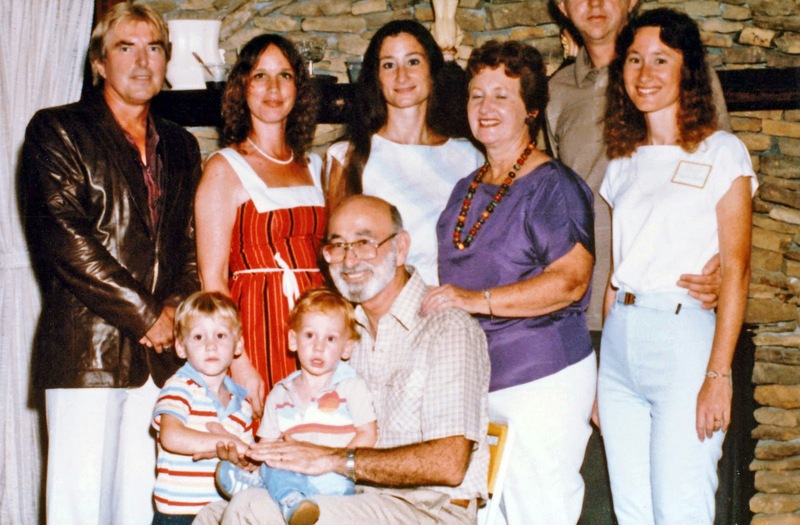 Their six surviving children were ages 10 to 24. After their passing 25 grandchildren were born, and to them were born 38 of their great-grandchildren. 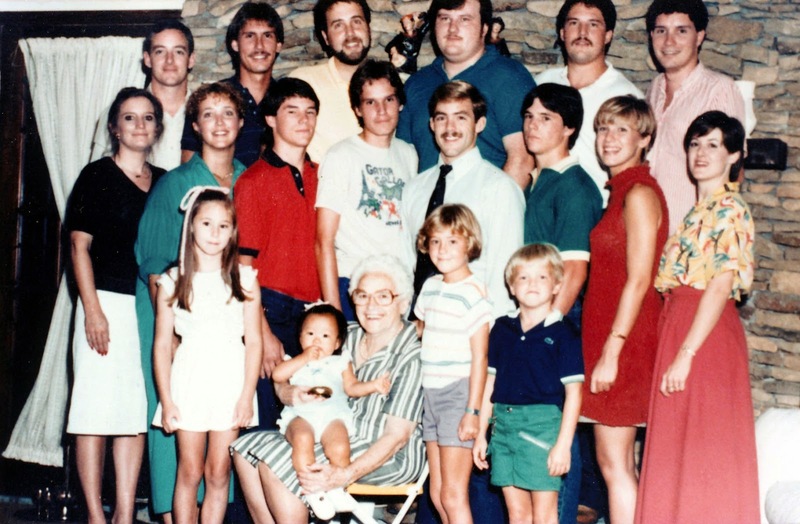 The number of great-great-grandchildren is still growing. 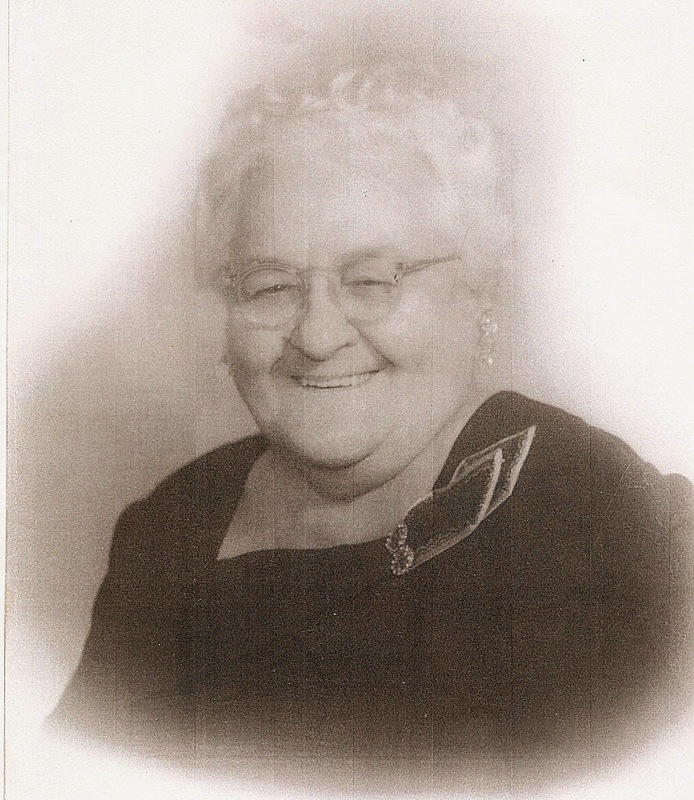 Laperle Degruy Fortier is my 3x-great-grandmother. She was the mother of eleven children, the grandmother of twenty-three, with dozens of great-grandchildren, like myself, that were descended from her. This is her story. Augustine Melanie Laperle Degruy was born on January 17, 1822, in New Orleans, Louisiana. Her parents were Jean Baptiste Valentin DuFouchard Degruy (1751-1838) and Melanie Gaudin (1786-1853), both natives of New Orleans. Laperle, as she was called, was the third of six (or seven) children. She was baptized at the St. Louis Cathedral in New Orleans at the age of 2; her older sister Felicite (1818-1832), just six years old, was her sister's godmother. 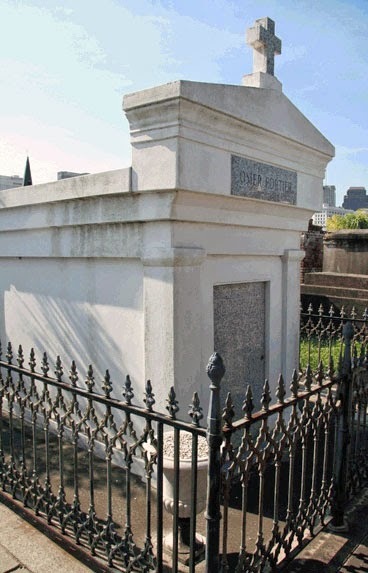 On Saturday, May 9, 1840, Laperle, age 18, married 27-year-old Jacques Omer Fortier (1813-1867) in New Orleans. Omer's father Jacques Omer Fortier (1792-1823), called Jacques, had died when Omer was just 10 years old, leaving his widow and three young children. 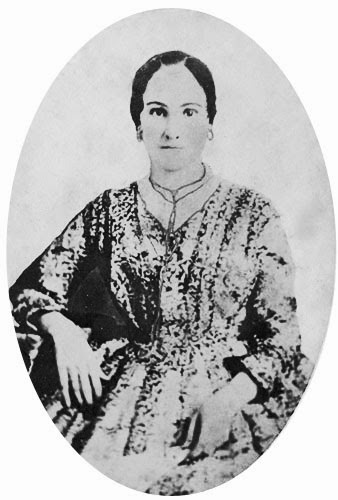 Omer's mother Charlotte Adele Chauvin deLery (1796-1834) died just over 10 years later. Omer's grandfather had once owned a sugar plantation in Jefferson Parish, along the Mississippi River, just outside New Orleans, as had his great-grandfather. When this grandfather, Jacques Omer Fortier (1759-1820), died his widow Aimee Marie Victoire Felicite Durel (1768-1843) became the owner of Pasture Plantation. The plantation was eventually sold to Minor Kenner and burned to the ground in 1870. Adele Augustine Philomene Fortier - born June 1841; she died August 17, 1841, at the age of two months. Ida Fortier - born September 13, 1842; she died January 29, 1848, at the age of 5 years old. Alice Fortier - born April 6, 1844; she died just before her big sister Ida, on January 26, 1848, at just 3 years old. Odalie Fortier - born August 31, 1846; she died at the age of 2 years on January 2, 1849. Adele Augustine Philomene Fortier - born January 2, 1849; she died at age 37 on February 16, 1886, leaving a husband and two young daughters. Omer Auguste Fortier - born June 30, 1855; he died at age 41 on April 13, 1897, leaving a widow and four children. Felicite Odalie Fortier - born August 31, 1857; she died November 14, 1920, at the age of 63. Odalie is my great-great-grandmother. She had been widowed, and was survived by four adult children. Gaston James Fortier - born September 1860; he died on June 3, 1917, at the age of 56. He was survived by his widow and four adult children. Lucian M. Fortier - born September 1861; he died at the age of 23 on October 21, 1884. Luciana Fortier - born September 1861, Lucian's twin; she died on July 19, 1942, at the age of 81, leaving three adult children. Jeanette Fortier - born May 1868; she died July 7, 1941, at the age of seventy-three, survived by one adult son. Laperle had eleven pregnancies go full term - that's over 400 weeks being pregnant! She had her first baby when she was nineteen, and her last when she was forty-six. Four of her little girls died by the age of 5. When her husband died on December 19, 1867, after 27 years of marriage, Laperle was four months pregnant. She had at home six children, soon to be seven, ages 6 to 17. How she managed to raise seven children at a time when women generally didn't work outside the home, and if they did their pay would be very low. There was no day care, no government assistance. Both of her in-laws were dead, as were both of her own parents. How she managed is unknown. What is known is that she lived less than five years after her husband's death, dying on November 1, 1872, in New Orleans. She was just 50 years old. She was buried in the family plot in St. Louis Cemetery #1.